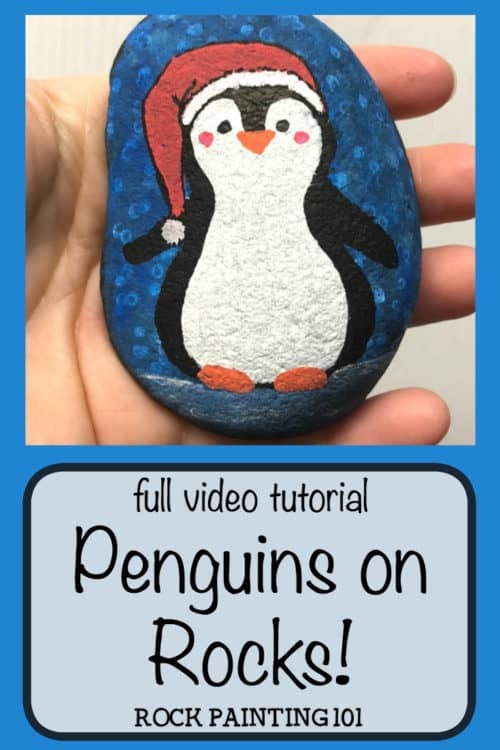 Learn how to draw a penguin for an adorable winter painted rock. 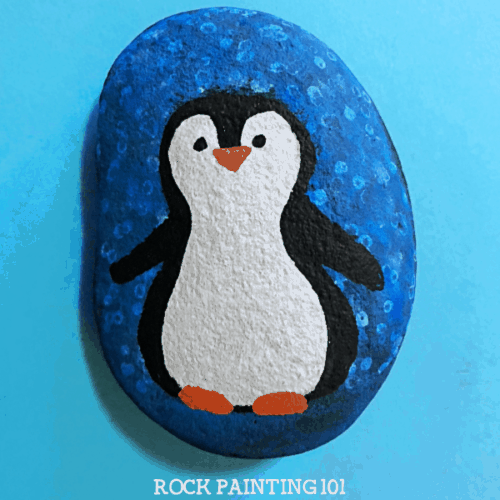 Using a block painting process, you’ll be able to create this cutie even as a beginner! 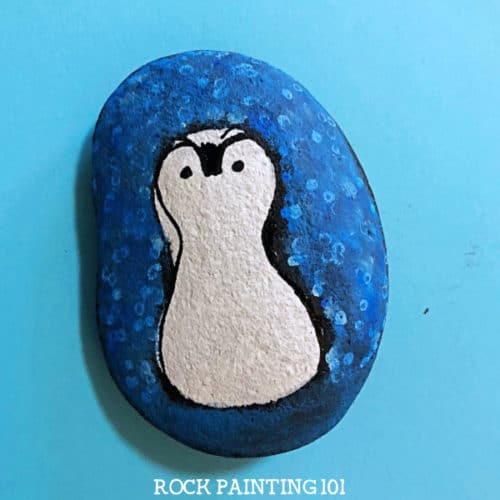 I have created quite a few animal rocks over the last year, but this penguin was one of the first! 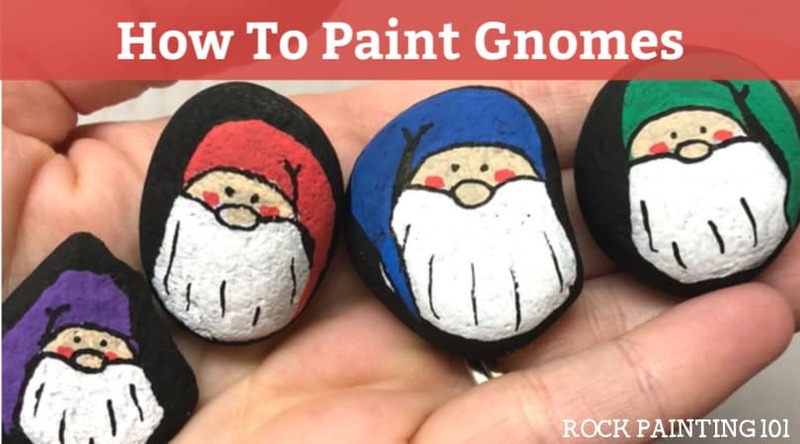 The fun snowy backdrop really makes him pop and was so easy to paint. 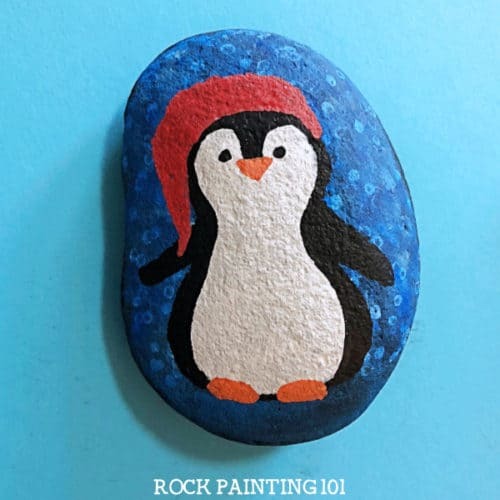 This step by step tutorial will teach you how to draw a penguin. 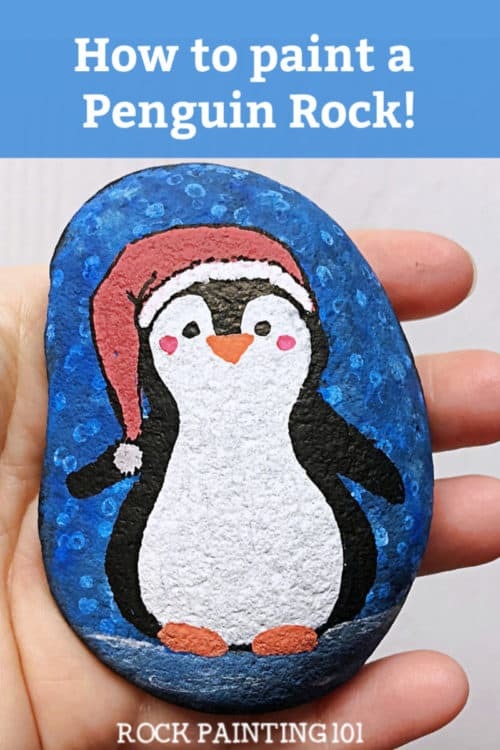 This penguin is perfect for painting in the winter. 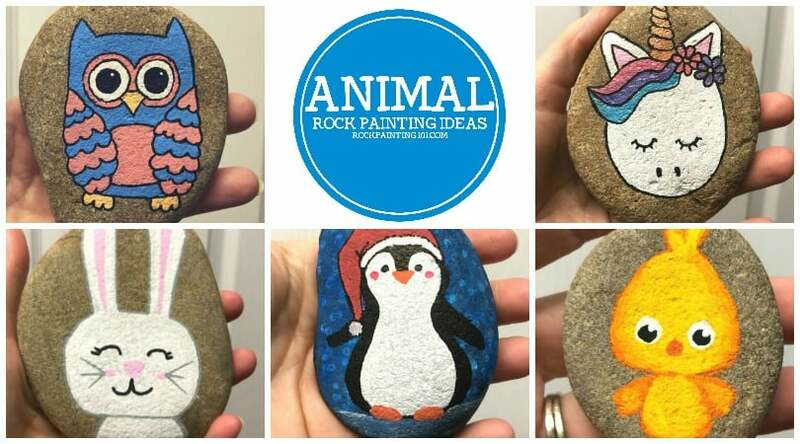 Check out our collection of other winter rock painting ideas! 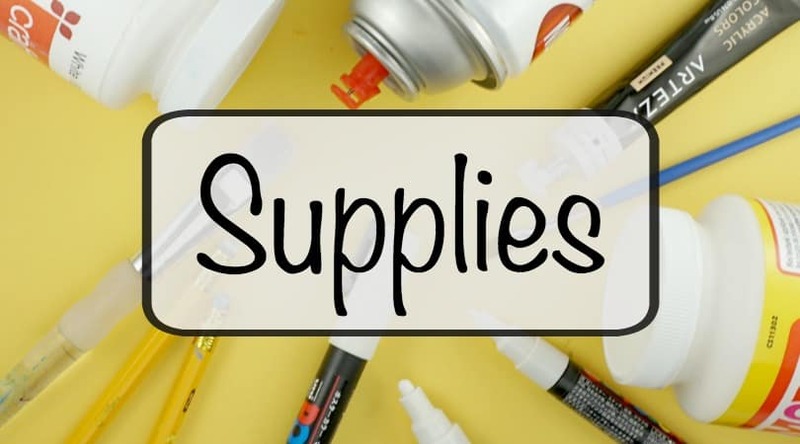 Need supplies? Check out our Amazon shop for easy shopping! 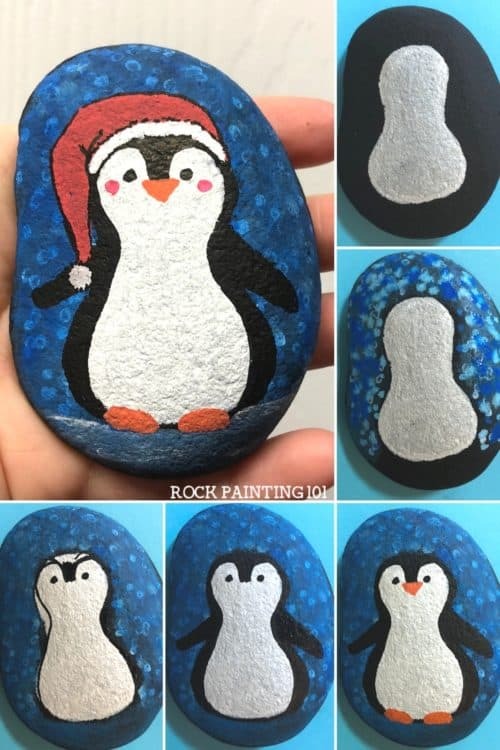 Start by creating the white of your penguin’s body. 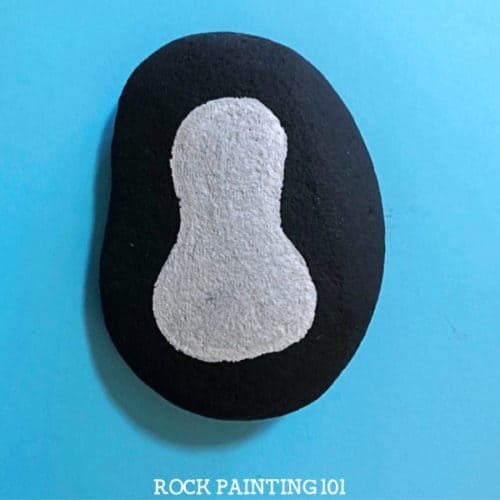 This way it has time to dry in case you need a second coat. 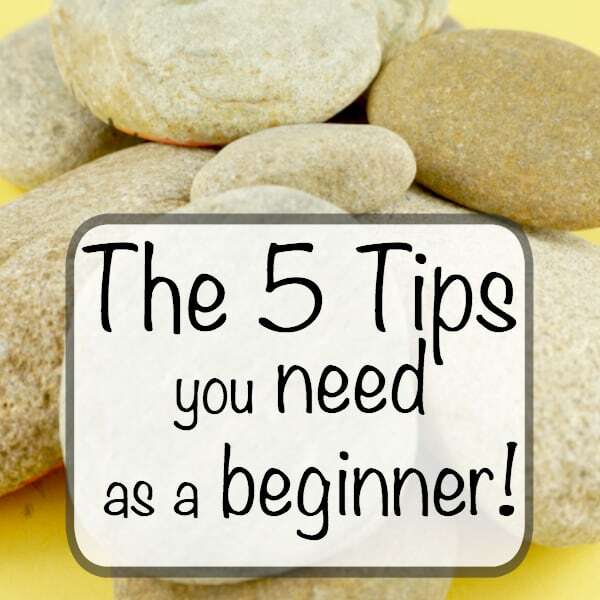 Don’t be too specific about the edges, you will touch them up later with black. Just make sure you fill it in well. Now let’s work on the background. 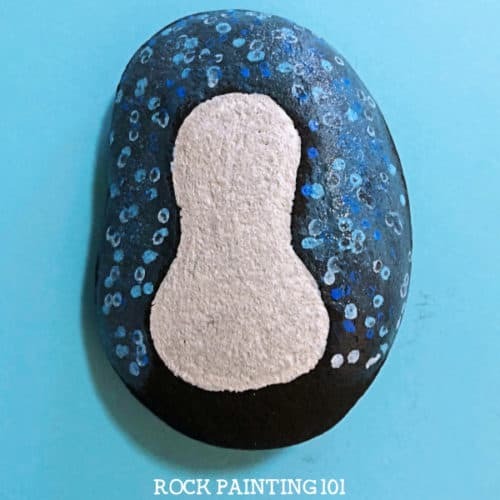 Start by adding small dots using dark blue, light blue, and white. Cover the entire space. 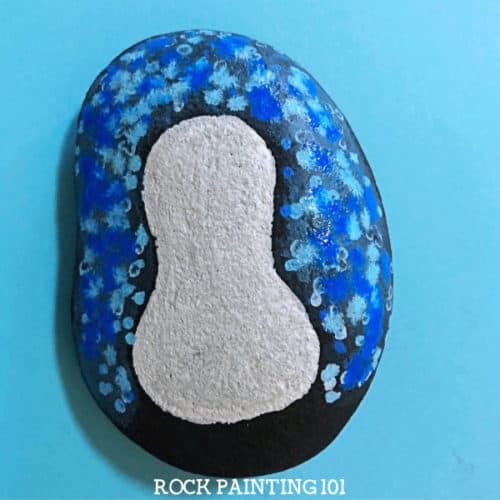 Then take a paintbrush and dab the tops of the dots. You don’t want the brush very wet. Just dunk it in the water and pat it off on a piece of paper towel. Along the bottom where the penguin will be standing, you can swipe the color left and right so that it looks like ice. 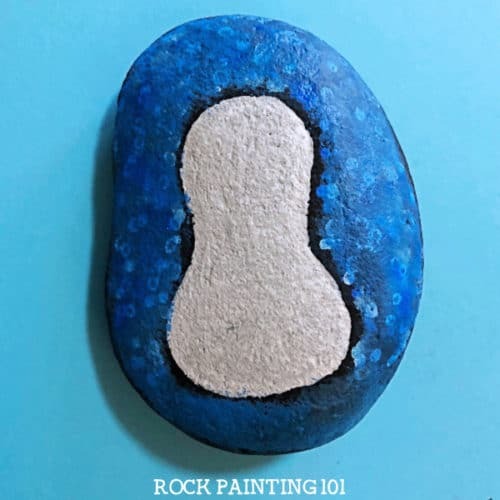 Then, while the rock is still a bit damp, add your dots again. Go back over once more with your brush. Remember you don’t need a lot of water. 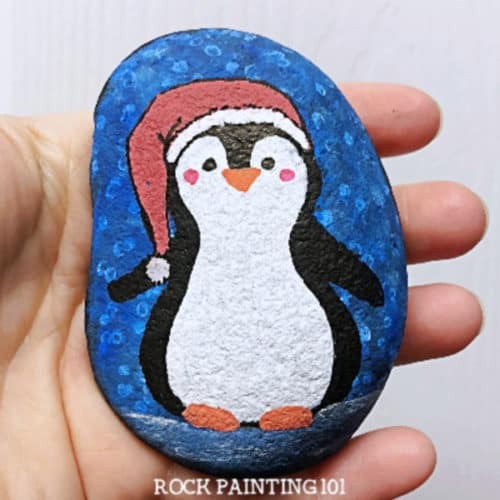 Once you are happy with your backdrop it’s time to start creating a penguin. Start by adding in his black outline. Work your way down the body to add arms and hips. When you like his size add on a beak and feet. You could stop here if you like… however, I was totally in the Christmas spirit the day I created mine so we went ahead and added on a hat. 101 Tip: When adding the fuzzy for the ball and rim of the hat use a dabbing motion so you don’t have a straight line. You could also just give him a winter hat and scarf for a different look. I show off a few other designs in the video. 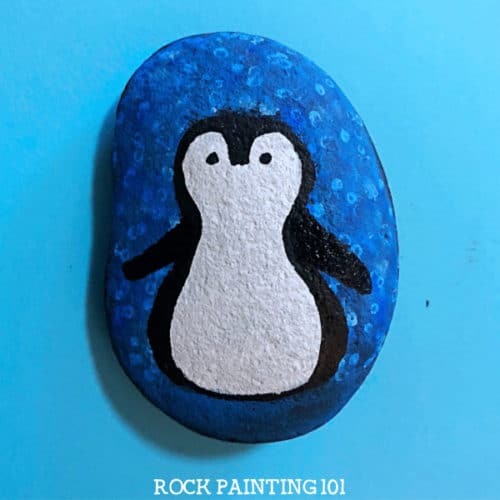 How to draw a penguin on rocks! Follow us on YouTube and never miss a video! 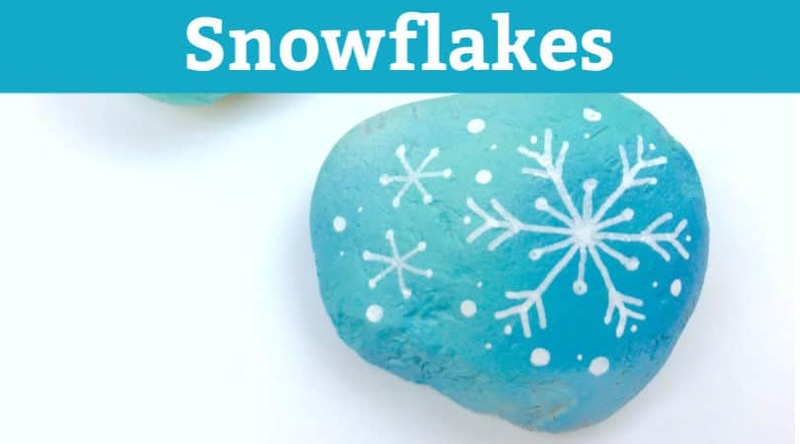 Pin this winter rock to your favorite Pinterest board!